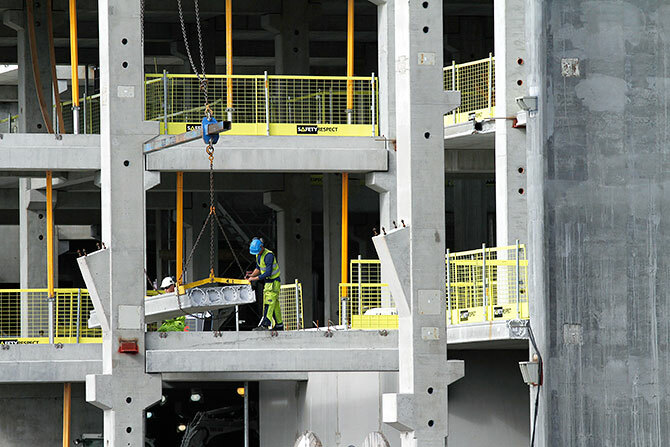 The building industry is at the top in the statistics of reported accidents and serious incidents, and is responsible for a great number of fatalities. Fall accidents mean heavy consequences for those who are injured, and roughly 50 per cent of the industry’s fatalities are caused by falls. Investigations of such accidents show that the internal risk- or safety management has been poor in many sectors at the companies where accidents have occurred. Substandard knowledge and experience, unclear responsibility distribution at the building site, poor compliance to internal rules and instructions are some factors that have contributed to the accidents. The causes thus lie with the organisations, employers and workers. A correct attitude, higher competence and smarter products are important factors that drive the development forward. If these are combined with a structured working method such as Quality Assured Edge Protection, a great part of the fall accidents can be avoided.